Chief Keef had been bubbling for months before Kanye West announced that he would be remixing the rapper's popular track “I Don't Like.” Ignored by much of the hip-hop press, it was the attention of numerous artists on Twitter—from Wiz Khalifa to Young Jeezy, Fat Trel to Pusha T—that initially spread Keef's name beyond his original fanbase of high school kids in Chicago. When Kanye called, Keef had already announced a number of high-profile side projects: A Mike Epps-hosted tape produced by Lex Luger, a joint tape with King Louie and loose tracks with Jeezy, Yo Gotti and Fat Trel. Now, it's tough to imagine which of them he'll still have time for. '"[Keef] is already one of the most popular artists I cover next to Kanye, based on interest and traffic on the site,” says Andrew Barber of Chicago's Fake Shore Drive. "Some people were ignoring him, but after the Kanye thing came out, everybody wanted a piece of him. People that wouldn't have touched him two weeks ago want as much of him as possible.” Keef, producer DJ Kenn, SD and Fredo Santana, members of his Glory Boy Entertainment crew, flew to New York this week to chat with labels and meet with press. Keef tweeted that he was considering signing with Cash Money, Sony or Young Jeezy's CTE. Some of that attention has spilled over to other GBE artists. Earlier this week, Lil Durk and Lil Reese were signed to Def Jam, the first Chicago rappers to do so without an intermediary label. Each inked his own solo deal. Alongside King Louie and Keef, Lil Durk gained a passionate following, in and outside of Chicago, on YouTube, through producer and cinematographer DGainz’ YouTube channel. His biggest tracks to date, "I'm A Hitta” and "L's Anthem," capture his unique, melodic sound. 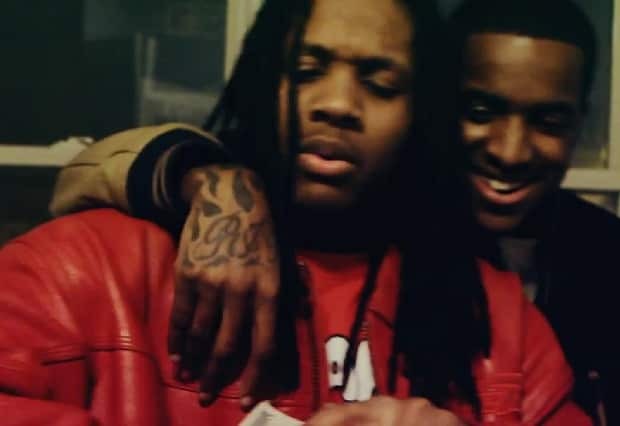 Durk has collaborated with Lil Reese extensively—their joint singles "Off The Shits" and "Beef" helped to start rumors that Sony sought to sign them as a group. Reached by phone, Durk says he isn't worried about how label politics might affect his working relationship with Keef. "That's business. We're all from the streets. We're all from the same area, so that can't really break us," he says. "I Don't Like" producer Young Chop, who has signed a publishing deal with Warner, is similarly unconcerned by the impact of Kanye's interest in Keef. "Can't nobody come between me and Keef's sound. I'm definitely happy," he says. "Just can't let it go to your head, because everybody says it will. I feel the same way that I did two months ago." In an age where artists attain fame without a relentless touring schedule or nationwide radio airplay, it's easy to be cynical when a huge name reaches out to an unknown artist. But while Keef's rise may have been sudden, the Chicago teens who first memorized Keef's music and made him a local star have always been tastemakers, if not always visible to label-heads. In America's third-largest city, they are a core engine of hip-hop culture, and the acknowledgement of their influence has been a long time coming.